mithai? Here is my way to celebrate this Children's day, I have prepared this Homemade edible instant emoji milk Peda. 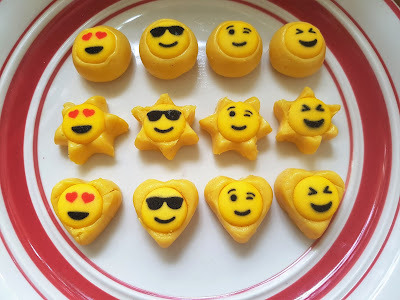 Surprise your kids, family, and guests with these lovely, super cute and edible emoji Peda. This will be a rocking idea for a kids party and will be a tempting dessert for adults too! 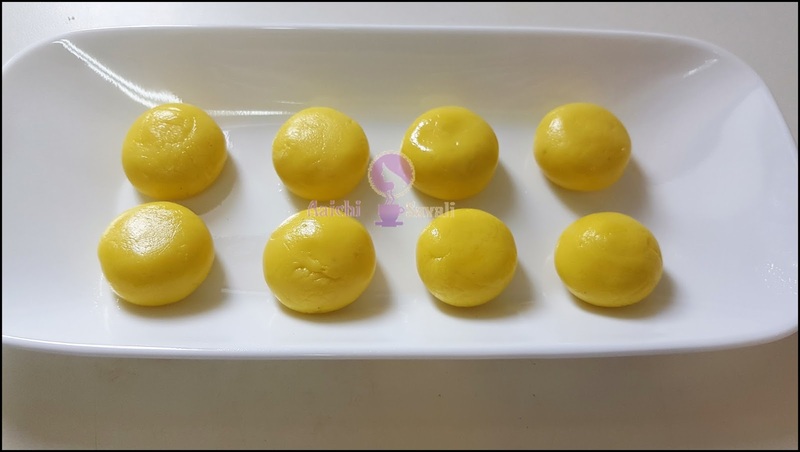 This can be easy sweet for Diwali made with only main three ingredients, this is a perfect sweet treat for your kids and family will love to try them, even easier to make. They look so pretty and elegant. So let the food be part of the party. Make it fun and interactive; as kids like to play with their food. I also have prepared some emoji gummies will post soon! 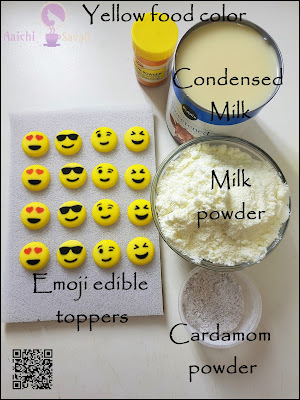 Let's see how to prepare this Edible emoji milk Peda. Preparation and Cooking Time : 10 Minutes. 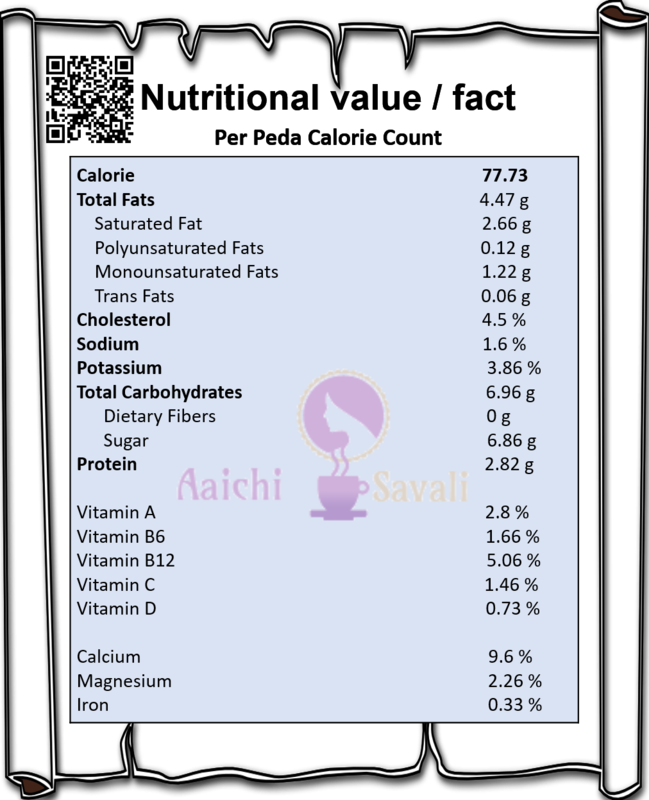 Each Emoji Milk Peda Contains 77.73 kcal. 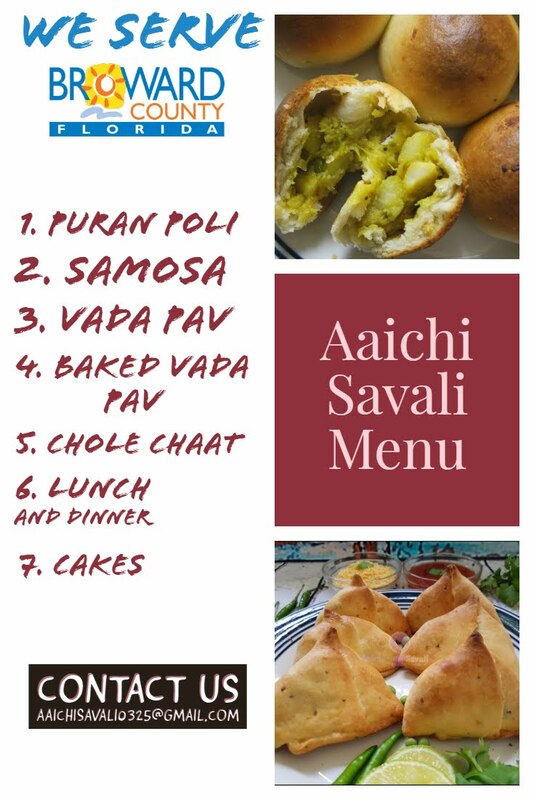 Turn on flame, place a thick bottomed non-stick pan and heat it, now add ghee, condensed milk and milk powder and mix well keeping the flame on low. Now, mix and mash breaking the lumps of milk powder if present, stir continuously, till the milkmaid melts completely. Keep stirring keeping the flame on low till the mixture thickens. Spread the dough to cool slightly, so it will be easy to prepare pedas. 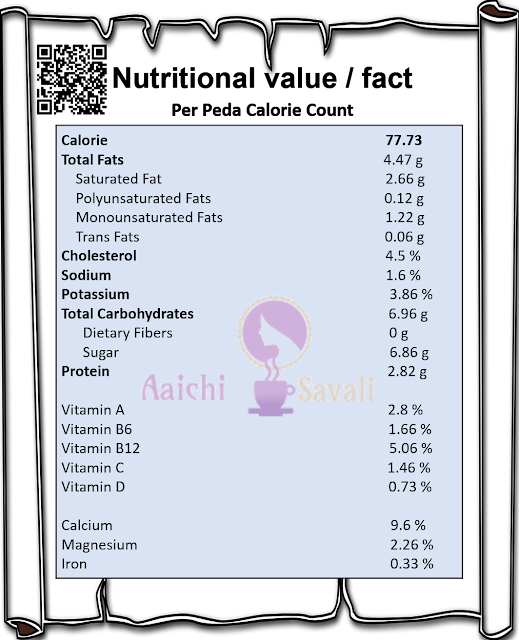 Now scoop a tbsp of dough and prepare a smooth and crack free ball by greasing ghee to hands and place emoji sticks at the centre and press gently from the sides (as shown in the video). 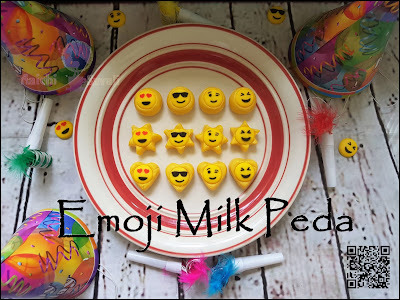 Here, surprising, to celebrate bdays, parties emoji milk peda is ready to serve. Enjoy!!! When it warm it can be slightly chewy, once cooled down, it turns to be soft and tasty. If emoji sticks are not available you can draw Emojis by using edible pen markers. 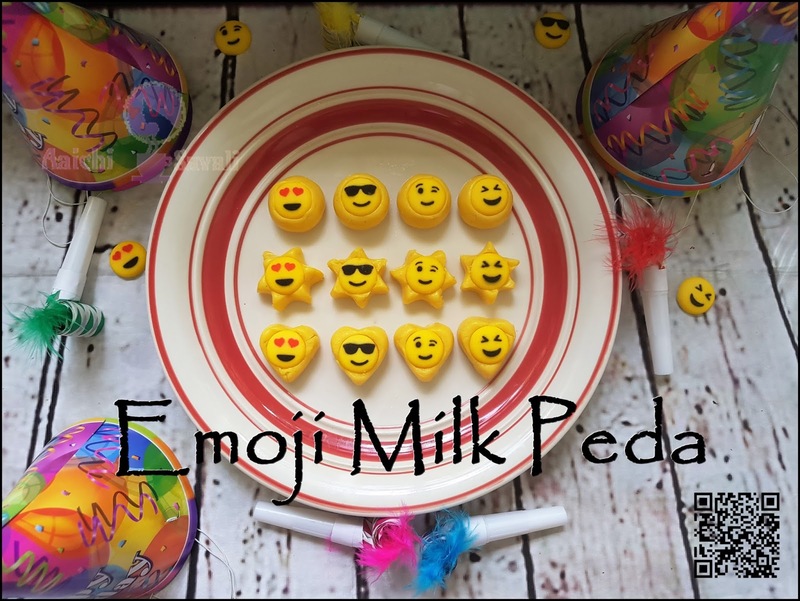 Per serving contains 77.73 calories, along with carbohydrates - 6.96 g, fats - 4.47 g, proteins - 2.82 g.
It is good to eat emoji milk peda as a dessert.